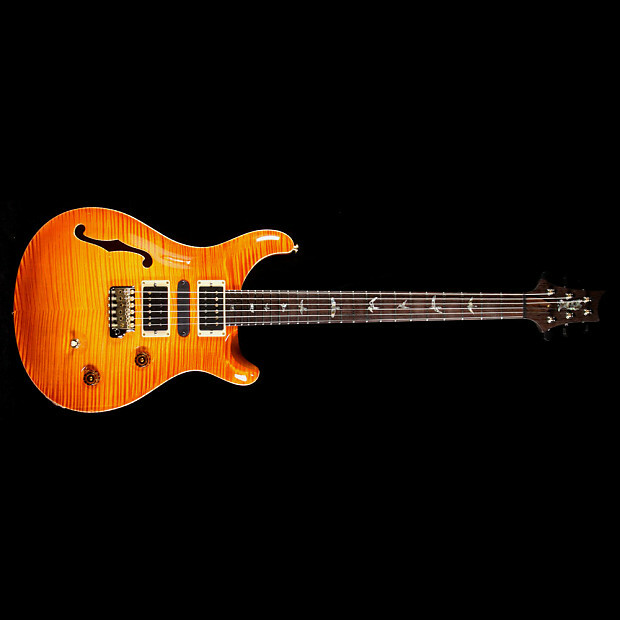 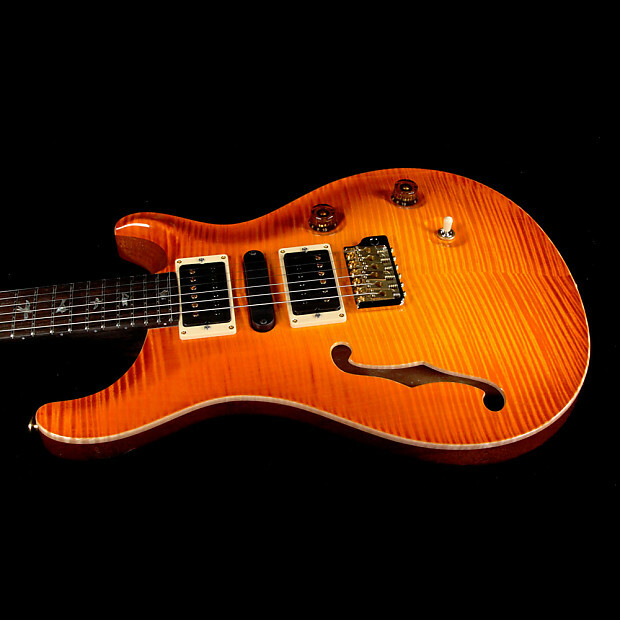 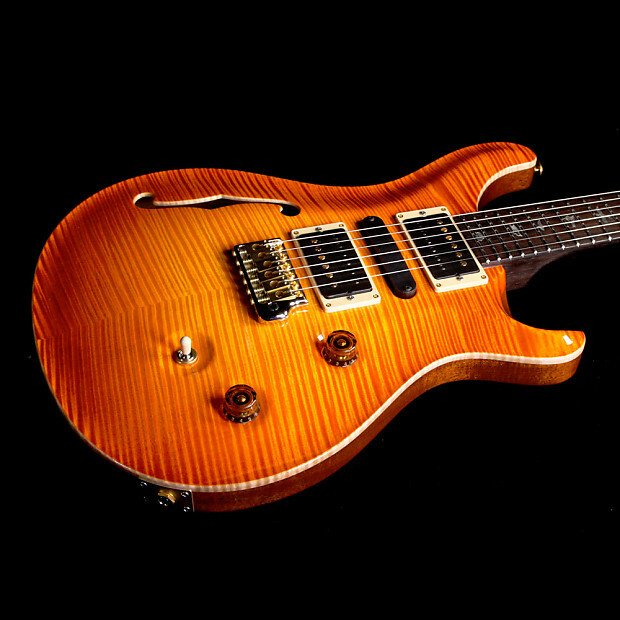 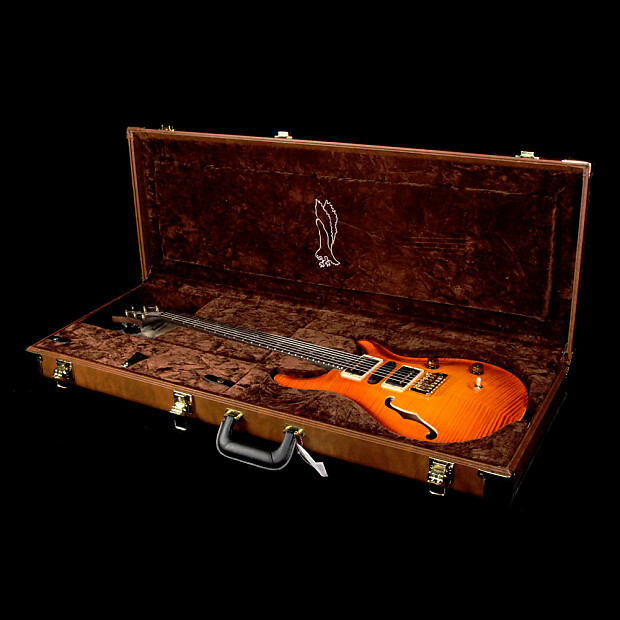 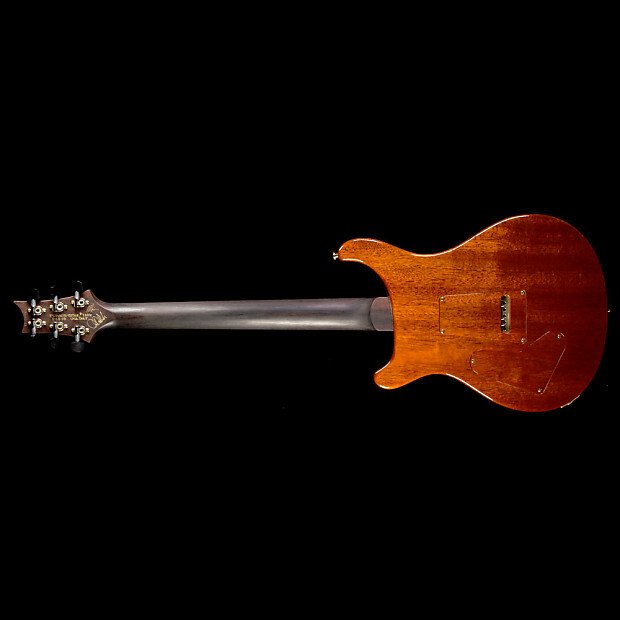 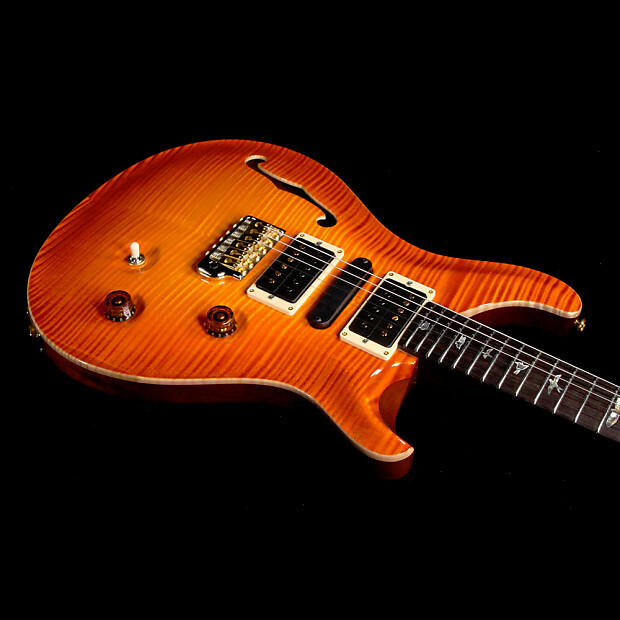 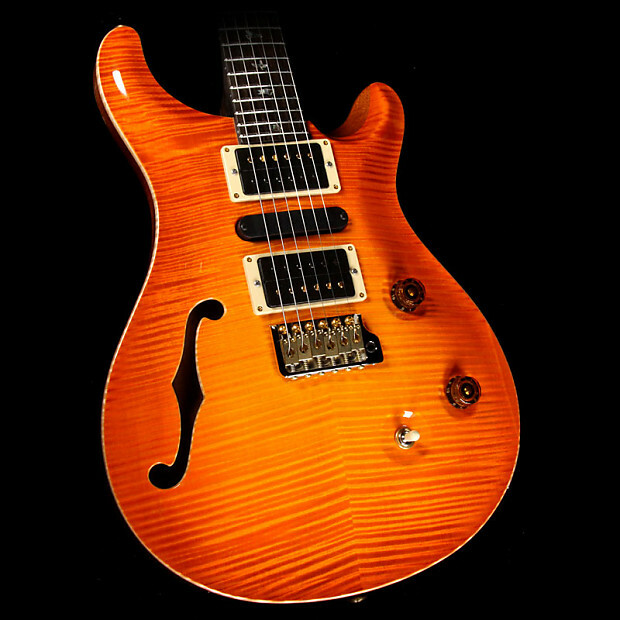 A top of the line Paul Reed Smith instrument: this is a Private Stock Custom 24 Semi-Hollow with an Orange Glow finish over a natural finished to the mahogany back and sides. 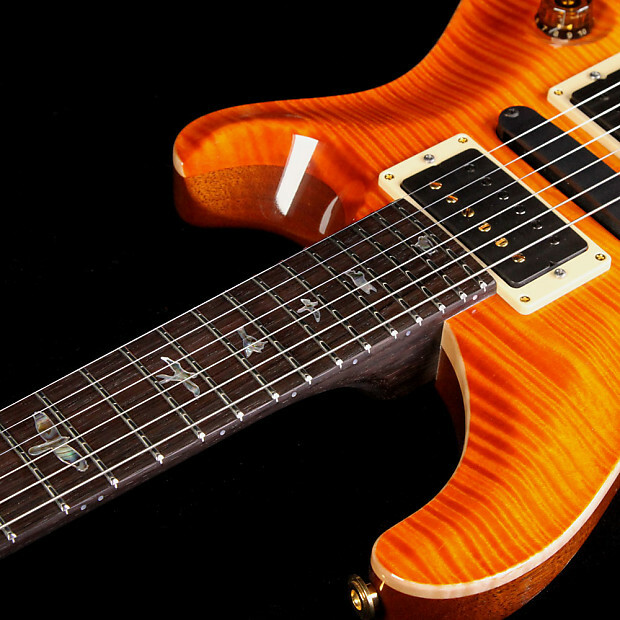 The guitar was spec'd out by The Music Zoo with all woods hand-picked on a trip to the PRS factory in Maryland! 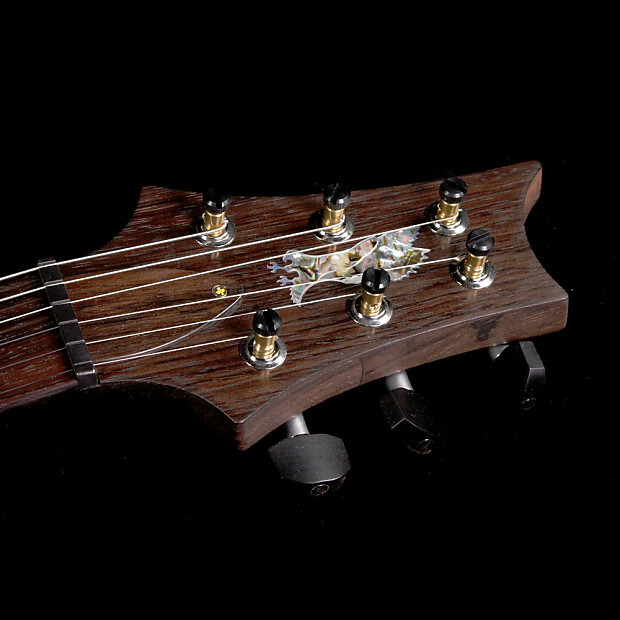 The guitar has a curly maple top with a gorgeous Brazilian rosewood neck, abalone Birds inlays, and a unique Hum-Single-Hum pickup configuration that will give you a super wide variety of tones out of a single guitar!